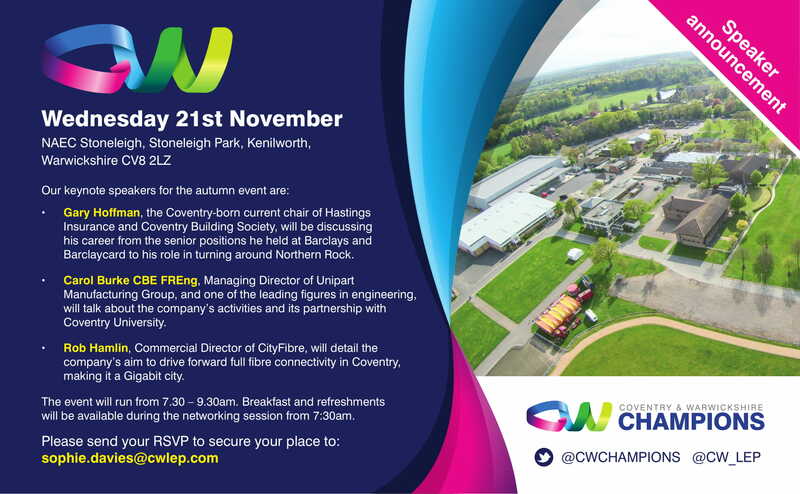 For this event we have organised additional networking opportunities after the presentations until 10:30am. Gary Hoffman- Chair of Hastings Insurance and Coventry Building Society. Carol Burke CBE FREng- Managing Director for Unipart Manufacturing Group. Rob Hamlin- Commercial Director for CityFibre.